This post is part 3 of 5 in our mini series titled 5 Fun Ways to Style Divi’s Audio Module. Stay tuned this week for all five unique examples of Divi’s Audio Module, with a tutorial on how to achieve each one! There are all kinds of audio content that you may want to share on your website: your latest lyrics, instrumentals, or podcasts, for instance. Divi’s built-in audio module makes including these a breeze! In today’s tutorial we show you how to style the Divi audio module like a podcast player. Before we begin styling the audio module, let’s familiarize ourselves with the default feature. The clean, minimalist look would certainly suffice to showcase some sound bytes, but it’s always a good idea to tailor a design based on context–which is exactly what we are going to do today. Just follow the steps I describe below to imitate this design, substituting image assets that best communicate your own brand. Between the raw, vegan, and paleo movements, it’s clear that people are starting to pay closer attention to their diets. While scrolling through a stock photography website, I came across this photo–which spoke immediately to those initiatives, with its rustic color palette and home-grown feel. Even if your business or website isn’t food-centric, the layout and composition of this design works equally well with other image assets, so feel free to theme it differently. Because we accomplish much of this design with CSS, the number of image assets we need is limited to two. First is the section background image, which I downloaded from Unsplash here. I recommend sizing it down a bit; Unsplash provides high resolution photos that invariably slow down load time. To ensure that the image still looks good on retina devices, I recommend sizing it down to 1920 px by 1280 px in Photoshop or some other image-editing software. Next, I created a simple podcast cover image in Adobe Photoshop, designed at 600 px by 600 px. Notice that part of the design hinges on the repetition of imagery, so if you use a different background image, be sure to incorporate it into your cover image as well. The text in the image above should be added in your photo editing software. Unzip or expand the folder. Double-click “Pacifico.ttf” and install the font. Locate it in your photo editing software as a font option. You may need to quick and re-start your photo editing app before it shows up. The design we will be creating today is best suited to a podcast about cooking, gardening, or local produce, but it can be repurposed for anything–from software engineering to globe-trekking–depending on the images you choose. The important feature to note is the prominence of the podcast cover image. This allows users to recognize your show next time they are browsing the App Store! This design has a basic architecture: it is composed of a single section, which houses a single-column row containing only the audio module. In the General Settings tab of your section settings, select the photo you want to use from your computer’s local Downloads folder and upload it. Remember the simplicity of this design’s architecture? It includes only one single-column row inserted within the section whose background image we just set. However, there are a few customizations we want to make to this row. After opening up the Row Settings window, toggle the button next to “Use Custom Width” to “Yes.” Next, set the unit to percentage, and drag the slider to 50%. This will prevent the row from spanning the full width of the viewport. Now, it will only ever occupy 50% of its containing box–in this case, the section with the vegetable background that we just customized. Now it’s time to get to the exciting part–the podcast player! After adding an audio module to the row, upload an MP3 of the episode. Without an audio file, the play button and the progress bar will not display. Next, fill in the text fields under the General Settings tab. 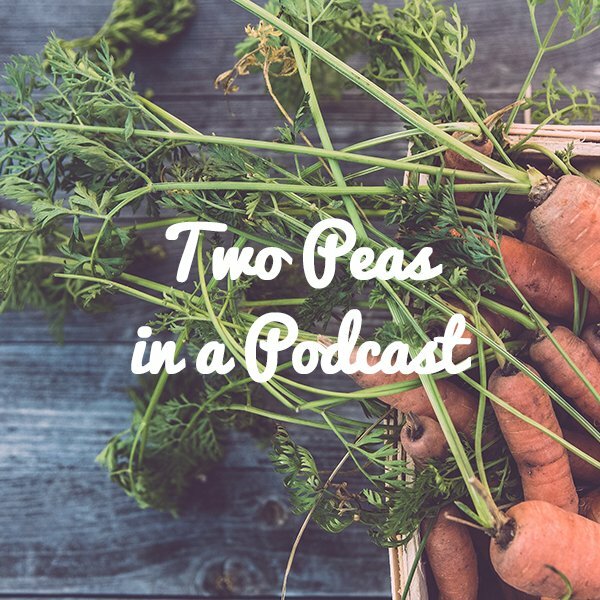 Although the text field titles reference music, we can infer how to input our podcast’s information: in the Title field, input the name of the episode; in the Artist’s Name field, input your host’s name(s); finally, in the Album Name field, input the name of the podcast–in my fictional case, Two Peas in a Podcast. Lastly, scroll down a little farther and upload the image of your podcast’s cover art. Next, we want to add some styling. Let’s start with the easy details first. Select the Advanced Design Settings tab to adjust the background color and opacity of the box that houses your audio player. I used a rgba value of (126,193,32,0.82) to achieve that pea-green color. If you are using different image assets, however, you will want to select a more bespoke color palette. Feel free to toggle the hue and opacity sliders until you find a background color that suits your brand. The last adjustment we will be making within the Advanced Design Settings tab is to the font; typography is a fantastic opportunity to communicate brand aesthetics. For Two Peas in a Podcast, I selected the home-grown font, Pacifico. Again, feel free to select whatever font that best resonates with the image assets you are using. You can play with the values to adjust the size, direction, opacity and hue of your drop-shadow. This is going to reveal only the parts of the image that are within the parameters we set, making it look like a circle. When you’re finished, click Save and Exit. Congrats, with a few built-in customizations and a couple of CSS snippets, you have created the perfect way to market your latest podcast episodes! Join us tomorrow for the next installation of our series, in which I’ll show you how to customize the audio module to create a medium-contrast, split-screen design through which to share both music and critical acclaim. Not sure if this is the correct place for this… This comment is not about the above, it’s a suggestion for a topic for a Daily Divi series – I remember you said you were looking for new topics to cover… If this is not the correct place to post this, please tell me where I should be posting it. Unless there is a tool or plugin or tutorial on this already that I’ve missed… (in which case PLEASE let me know) I would like to see a step by step guide on how to build a 3 column page – that has some text fields of varying lengths and have it align vertically when viewing on a desktop and have the page stack correctly when viewing on a tablet or phone. PS: my website is not Divi or even WordPress – (I know it needs to be redone).! Hi Dave, yes this is something that I can put on the blog ideas list. Creating a three column responsive page is not hard. The challenge is changing the “stacking” order when the viewport dimensions change. We will create a tutorial on that topic. Love this tip! Will start using within the next week or so! same problem here, couldn´t get the circle to work. Any idea?